It has been more than a decade since 9/11, and during that time a lot of soldiers, sailors, airmen and Marines have trained, deployed and fought the War on Terror. They have crossed into the deserts of Iraq and climbed the hills of Afghanistan. They have battled pirates off the coast of Somalia, and have fought against insurgents in the Philippines. 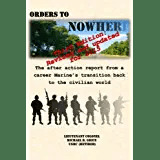 The last decade has found young American men and women in combat in places that they may have never even heard about before they donned their uniforms. They have also done magnificent things outside the combat zones. Sailors and Marines rushed to Indonesia to aid the victims of the disastrous tsunami in 2004. Less than a year later, members of all the armed services were doing the same in Louisiana after the coastline was ravaged by Hurricane Katrina. They have helped recover and rebuild from dozens of other disasters at home and abroad, often while their own homes and loved ones were threatened by the same calamities. Through it all they forged a real and tangible bond with those with whom they served. They joined a brotherhood that transcends any found in the regular workforce. Like firefighters and the police, they have been in the worst possible situations and bested them by working side by side with people just like them. They have become integral members of a close and closed society that only those who have been a part of truly understand. The experience of being in the military changes a person. There comes a day, though, when the uniform is worn for the last time. The last decade has made that change as visceral as it was at the end of the First World War and the Second, as well as Korea, Vietnam and the other conflicts that brought young Americans to foreign shores to fight for years on end. So the day comes when the uniform comes off. It is much more impactful than just changing clothes, however, because with the shedding of the uniform comes the departure from military society. While you may still be close with your military friends, but the relationship changes: You are no longer a part of the same conversations. You are no longer training or deploying or sharing the same burdens, and over time the relationships change as you have less and less in common. Your lives move in different directions. As a veteran, the sense of loss as you leave the warm embrace of active service can be jarring. After all, they have served, deployed, fought and done the myriad things together for years on end —- and suddenly it just stops. In many ways it is like a divorce, because you can never go back. As a kid I never really understood what the American Legion or the Veterans of Foreign Wars were all about. I saw them as the old men who marched in parades wearing bits of uniforms from wars long over. I rode my bike past their modest buildings and wondered what went on inside. I accepted them as part of the fabric of our community, but never thought much about them. Today, though, I understand. Veterans of active service have lived a life unlike any other, and it is often very difficult to relate to those who have not shared the same sacrifices. Veterans love their families and cherish their friends, but there are some conversations that are only for those who have worn the uniform and endured the trials, horrors and joys that come from military service. That is why the American Legion, the VFW and so many other veterans organizations exist. That is why those old men gather; to be around others like themselves who understand that which to others is incomprehensible. The difference today is that today not just old men gather in such places. Young men and women have joined the ranks of those who have gone before. Now stories of Iraq and Afghanistan join those of wars past in the tapestry of the veteran community. It is a place that provides a little solace and closure to a big part of veterans’ lives that stays with them no matter how long ago they put away their uniforms. This entry was posted in Transition Posts and tagged active duty, American Legion, transition, Veteran, VFW. Bookmark the permalink.